ServiceNow offers multiple products and solutions including business, operations and IT management to improve your business. 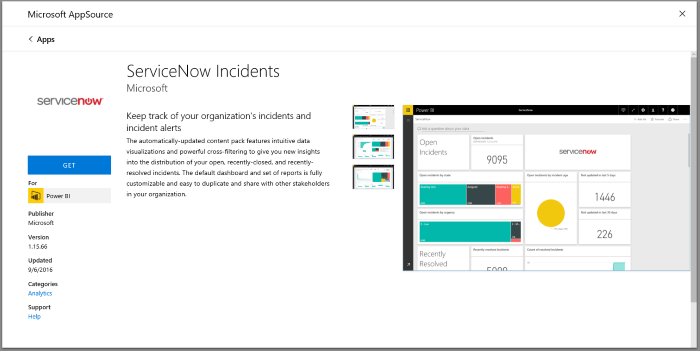 This content pack includes multiple reports and insights on your open, recently resolved and recently closed incidents. 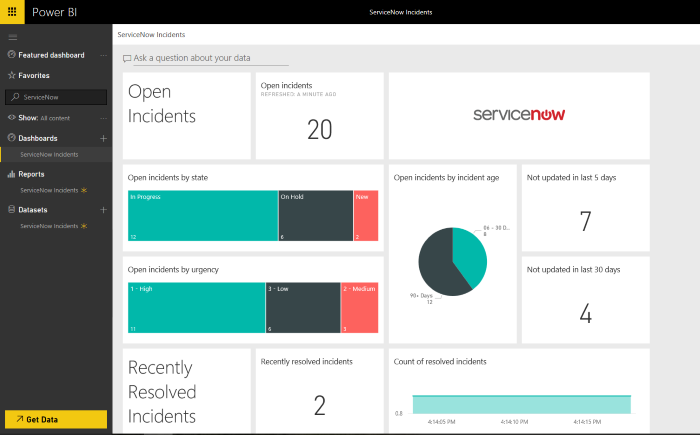 Connect to the Power BI content pack for ServiceNow Incidents. Select ServiceNow Incidents > Get. 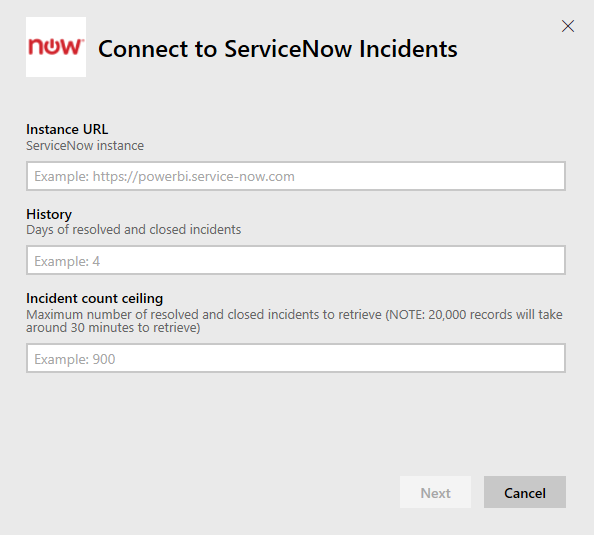 Provide the URL of your ServiceNow instance and the range of days/records to bring in. Note as soon as one limit is hit the import will stop. 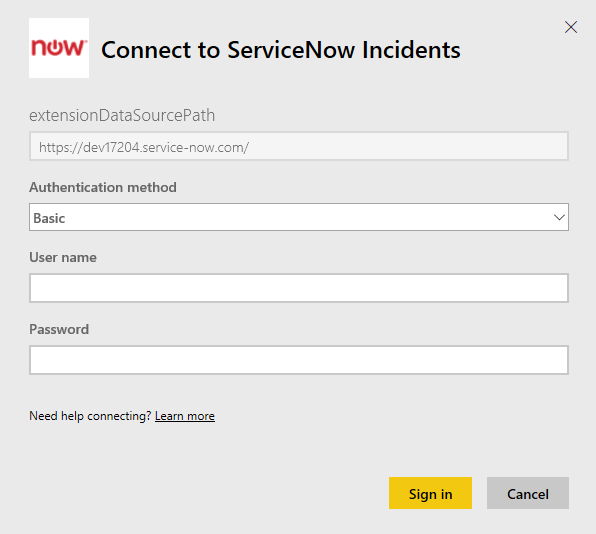 When prompted, enter your ServiceNow Basic credentials. Note single sign on is not supported today, more details on the system requirements below. Once the login flow is completed the import process will begin. When complete, a new dashboard, report and model will appear in the Navigation Pane. Select the dashboard to view your imported data. If you're hitting a credential error during load, please review the access requirements above. If you have the correct permissions and are still hitting issues, please work with your ServiceNow admin to ensure you have any additional permissions that may be required for your custom instance. If you're seeing long load times, please review the number of incidents and number of days you specified during connection and consider reducing it.